The ornament on the roof reminds us of China. The other day, while I was strolling in a side street of Kanda, I happened to find an autobiography book of Aisin-Gioro Pujie (1907-1994), the younger brother of the last Emperor of China Puyi (1906-1967) on a bookshelf in a secondhand bookstore. I personally know Pujie, because I met him a few times and exchanged a few words while I was living in Beijing in the late 1980s. It was the time when the famous film “The Last Emperor” was released and attracted the world’s attention. I was very surprised when I saw him alive for the first time, because he was for me a historical figure related to the past of China and Japan: Qin Dynasty and Manchukuo. I took it up immediately as I wanted to know more about him. 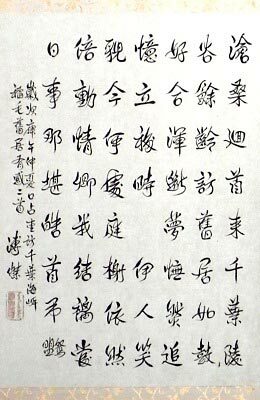 I had only a little knowledge about him, though I knew his calligraphic works and his relations to Japan and heard about his Japanese wife, though I could not meet her because she passed away a few months later than my arrival in China. The book was priced at mere 200 yen, though it was as good as new. I read through the nearly 400 pages thick book in a day and discovered that many of the places where he spent time exist very close to my own daily milieu. When Pujie first came to Japan in 1928, he lived with a family in Amanuma, north of Ogikubo, and went to Gakushuin, the school for children of the Imperial Family and aristocracy. 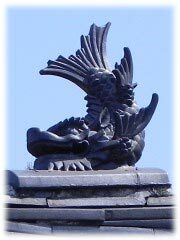 Amanuma is not far away from my house and it is where my wife was brought up. 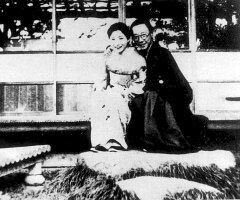 He married Saga Hiro in 1937. Saga Hiro was a daughter of Marquis Saga. The residence of Marquis Saga existed in the “green belt” of Zenpukuji-gawa River where now Suginami Historical Museum exists. A large garden stone from the time of Marquis still remains there. 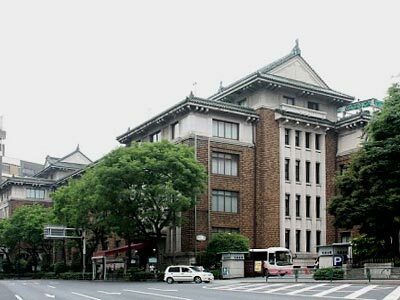 She was brought up there and from there went directly to the wedding ceremony held at Imperial Army Hall, the present Kudan Kaikan, which is within 100 m distance from the bookstore where I bought Pujie’s biography book. The newly married couple started their life in Inage near Chiba, because Pujie was at the time learning at Army Infantry School in Chiba. Chiba is the town where I was born, because my father was a teacher at the Infantry School at the end of WWII, settled down in Chiba after the war and got married there. They lived in Inage, however, less than half a year, because he had to carry out his duty in the newly born Manchukuo. When he returned to Japan in 1943 to attend Army War College, he and his family lived in Mamiana district, where I am now working. Shortly after he left for Manchukuo in December 1944, his house in Mamiana was burnt down in an air raid. Therefore, I cannot see the trace of his life in Mamiana. However, the old atmosphere is still alive in Mamiana. Some traditionally built wooden houses stand side by side in a deep valley with steep slopes and Russian Embassy and Tokyo American Club dominate the area. 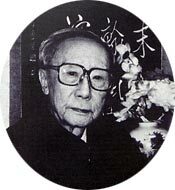 After the establishment of Peoples Republic of China in 1949, Pujie was interned in Fushun War Criminals Management Centre. On the other hand, Hiro, after years of detention in China, went back to Japan and lived together with two daughters in Tokyo. 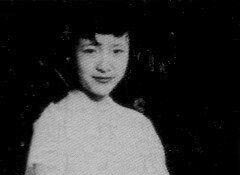 After they tried to communicate with Pujie for years in vain, the elderly daughter Huisheng made up her mind to write a letter to the then Prime Minister of China Zhou Enlai in 1954 and asked permission to exchange letters with her father. Moved by the brave letter Zhou Enlai intervened in the Pujie’s case. The separated family could start exchanging letters and finally in 1961, 16 years after separation, Pujie could leave the Center and restart his life with Hiro in Beijing. However, things did not go so smoothly as I briefly described. 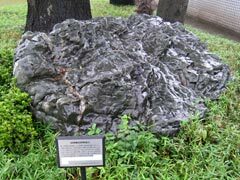 In the happy atmosphere after the resumption of communication with his family, Pujie received in 1957 tragic news from Tokyo: his elderly daughter Huisheng was found dead in the Amagi Mountains near Hattyoike in what appears to have been a double-suicide. 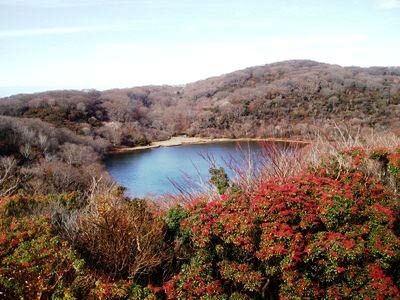 Here, I again discover a coincidence that I live in the milieu of Pujie’s family, because I have my summer house in the Amagi Mountains not far from the scene of the tragedy. The lines in his diary after he knew the accident are indeed deeply moving. I can vividly feel his warm love for his wife and daughters, though it might have been very difficult to have a mixed family in the very difficult time. Even from my limited personal contact with him, I could feel that he was a sincere and modest person despite of his very respective family background. He was hearty and benevolent, but also determined to contribute to the friendship between two countries. Though I am not good at calligraphy, I cannot forget the unique style of his calligraphy. It is not stiff nor rigid, but elastic and elegant and not week. It surely embodies his personality. 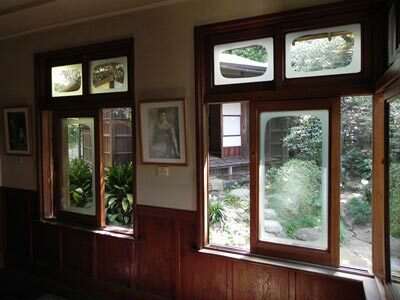 Among the houses he lived in Japan, only the house in Inage survived the war and passage of time and opened in 1997 as a memorial house of Pujie and Hiro. 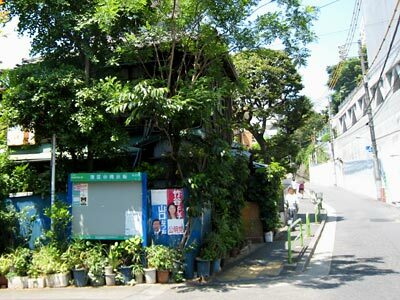 Having read the autobiography, I decided to make a pilgrimage to the house in Inage. Bedroom. Through windows the study room in a seperate house is seen. I came to Chiba in retrospect of the past time. I worked my old body and visited the old house. Then, I found that my old dream did not exit any more. I could only recollect the beginning of autumn at the time. Where is the smile of my wife? When I stand in the garden, my soul is stirred up. I remember our martial bond just as the memory from yesterday. Lovely memory is unbearable for the old body. 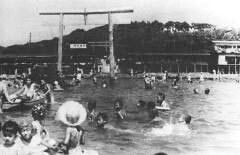 Inage was a popular resort for sea bathing before WWII and there were many cottages of rich people from the capital along the coast. 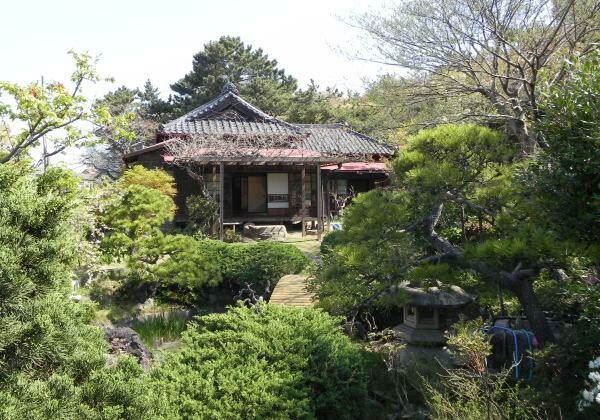 The old house of Pujie was built in traditional Japanese style on a hill rising from the seashore. The beach was only tens of meters away from the garden of his house and Pujie must have seen people hunting crams on the muddy shore and bathing in the shallow sea. The house is very humble for a prince. However, he seems to have loved this house and humble life style and I believe it is because he started here newly-married life with his beloved Hiro. Hiro decided to rearrange the Japanese style house and brought in tables and chairs. They often received students from China in their home and their servant dug clams from the beach and collected mushrooms from the nearby woods to enrich their dinner table. View from the house. Pujie could see the beach from here. The small red torii standing between buildings used to be just on the coast line.